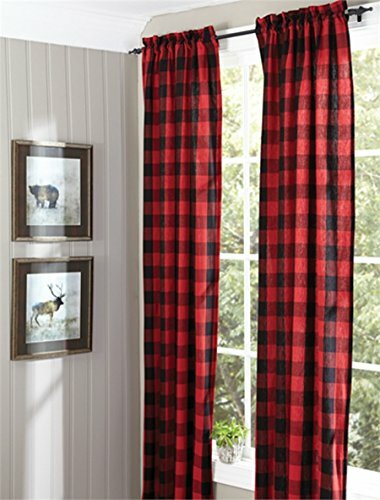 One pair of lined drapery panels from the Park Designs Buffalo Check Collection. Classic large red and black checked cotton fabric. Measures 72 inches X 84 inches. The drapery top can accommodate up to a 1.5 inch diameter decorative drapery rod. Tie backs included. Shipped in a zippered vinyl bag. 100% cotton; dry clean only.